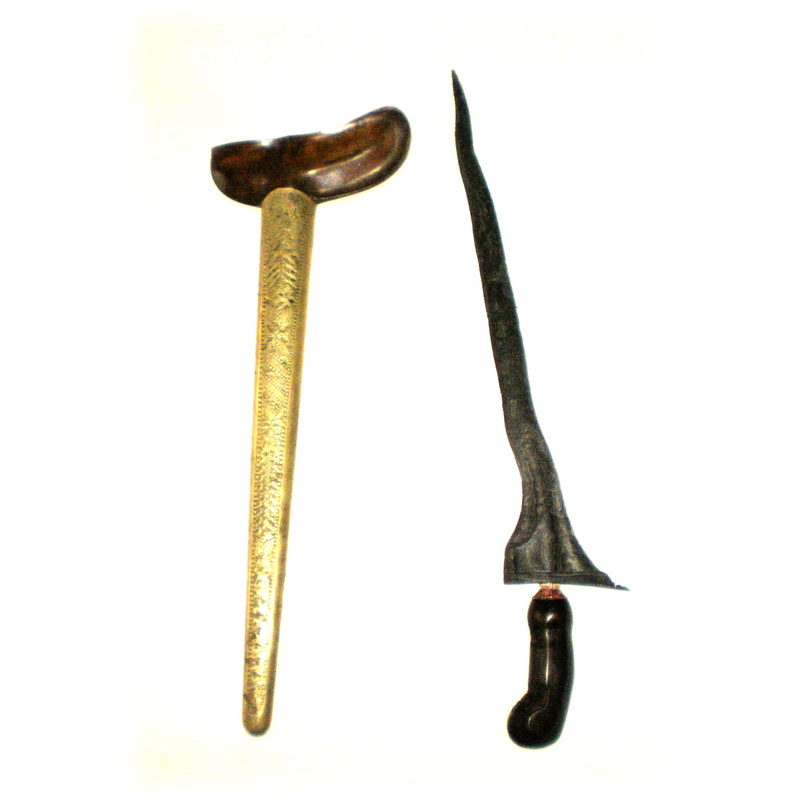 The keris Murma Malela is an exquisite Javanese keris that was forged in the seventeenth century tangguh Mataram era. The dapur of this ancient keris features the rarely seen Murma Malela model. Murma Malela is a unique type of dapur with 7 luks, which can easily be recognized by the rather unusual shape of the dapur as a whole. The luks are inequal in size and they are arranged in an irregular order over the length of the blade. The blade itself has very minimalistic ricikan; it has a relatively short gandik, a deep pejetan and tikel alis, and a little buntut cecak at the rear end of the ganja. 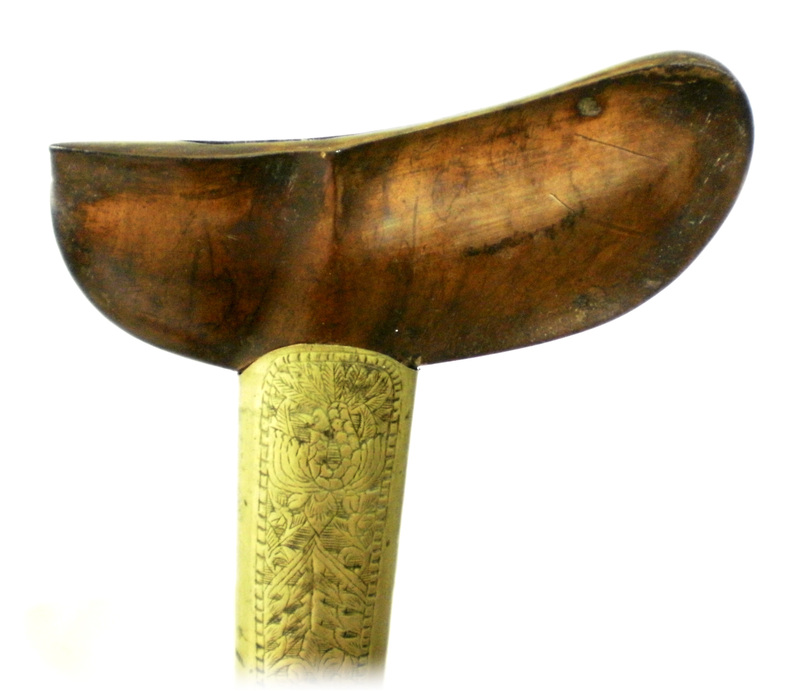 An exclusive keris such as this can only be made by an adept empu, for the dapur Murma Malela is considered an extremely difficult model to forge. Even if the empu has a lot of experience, he will also need to have mastered tremendous skills along with a great deal of patience and supreme dilligence to be able to produce such a masterpiece. The blade of the keris Murma Malela features pamor Wos Wutah. The pamor pattern has a light tone in contrast to the dark color of the blade itself, which results in a bright and beautiful motif of sprinkled rice (‘wos wutah’, or ‘beras wutah’). Despite the impressive ageing process of approximately four to five centuries, both the blade and its pamor pattern are still in perfect condition. 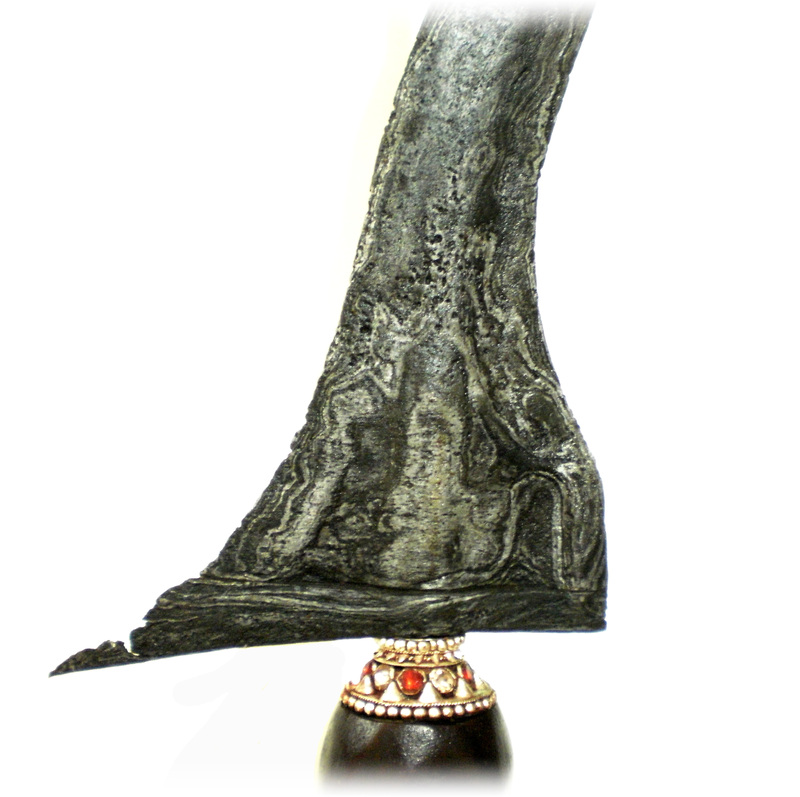 The keris Murma Malela with its pamor Wos Wutah is endowed with mystical powers that can bring its owner good luck and good fortune. When the keris is properly looked after by the owner, then s/he will receive numerous blessings which can manifest in the form of wealth increase, success in business, improvement of social status, and enhancement of one’s love affair(s). 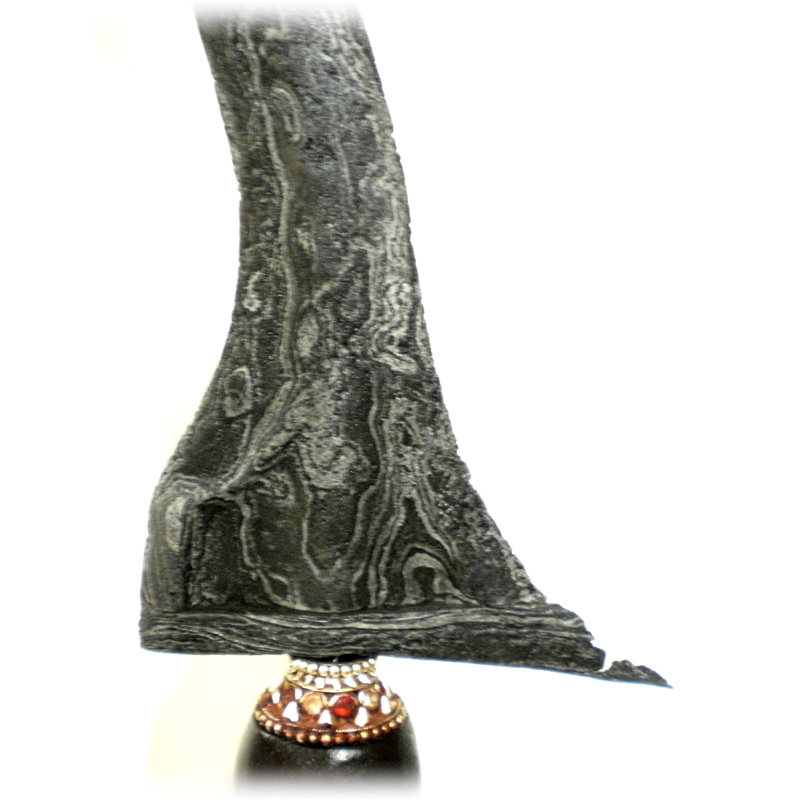 The keris comes with its original warangka sheath, hand carved in the classic gayaman Yogyakarta model. Also, it has the original pendok, which is made from ancient brass, featuring detailed decorative patterns on the cover.